The Trail Pro 255 series is designed with a super soft compound and a highly flexible radial carcass. The 255 Trail Pro provides excellent grip on rocks and other slick terrain. Ideal for technical singletrack terrain or Flat Track use. **CAUTION: The 255 Trail Pro is a D.O.T. approved tire but is not recommended for commuter/continuous highway use. 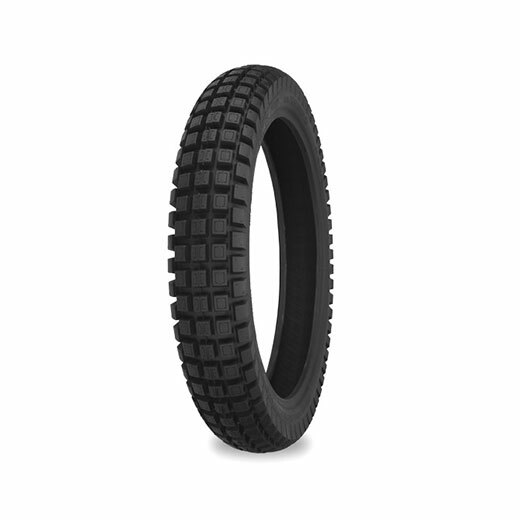 It is a tire for serious off road and trials applications and can be legally used “on highway” to connect off road trail heads. For dual sport use, we recommend the Shinko 241, 244, 700 or 705 series tires.